Chemical Industry uses our acid resistance brick/tiles due to their trust on our products and to its quality and purity of material. Chemical industry uses our various products to prevents highly corrosive environment in chemical industry, as they uses broad range of plants, equipments. These bricks can stand on mechanical loads and also proof on acid resistant in chemical industry where acidic, alkali are present. Supply highest quality acid resistant products that customer are demanding and using. 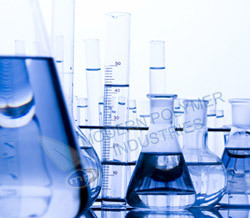 Chemical industry uses our product as it gives proper bonding, duration, toughness.